"Great program for managing partitions and the startup of hard drives." 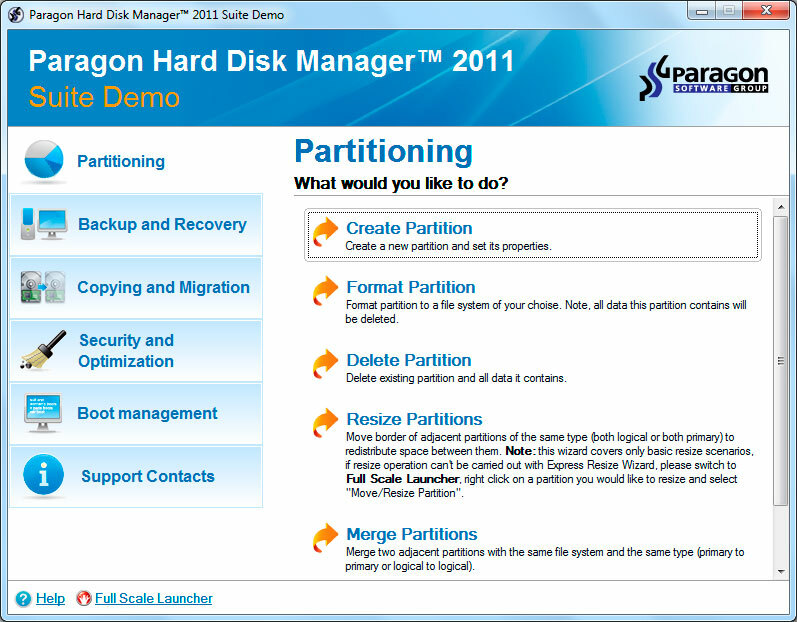 Paragon Hard Disk Manager is a great program for managing your hard drives. It is suitable for daily and special needs, as for beginners as for professionals. Partition the hard drive. In any moment you will be able to change partitions of the hard drive safely and change its parameters. All modern and usual kinds of files are supported. You can also install and manage different operating systems of your computer, no matter which ones they are. Come across the borders between different operating systems families, have total access to the partitions (Ext2/3FS) from the Windows operating system. Hard Disk Manager is a program with different very productive applications for your hard drives. Thanks to this pack of applications you won't have to use different programs ad Hard Disk Manager has them all.